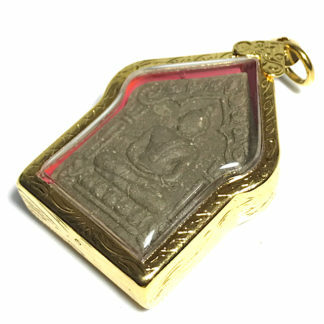 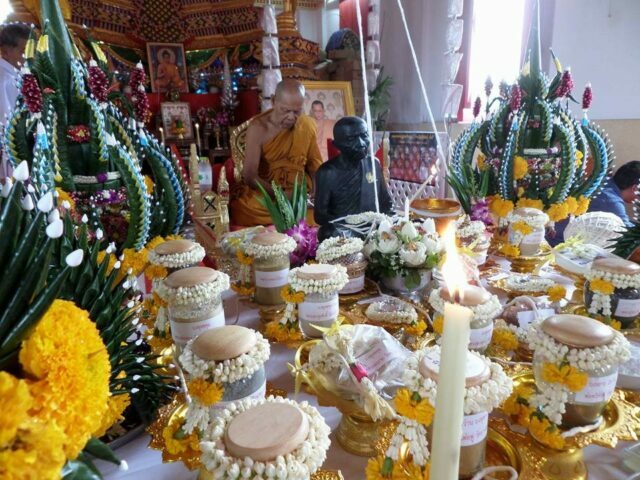 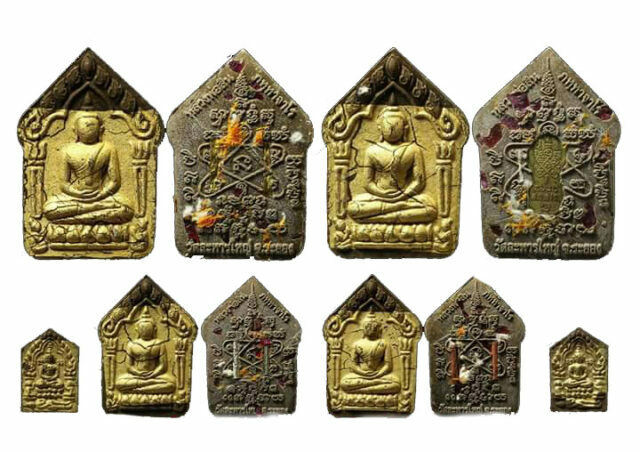 To press the amulets, a large selection of sacred powders were used from Luang Phu sin’s repository, and previous editions, and Pong Prai Kumarn of Luang Phu Tim, to continue the lineage Wicha through transmission of the Muan Sarn through adding broken up pieces of previous editions of Khun Phaen Prai Kumarn, from both Luang Phu Sin and Luang Phu Tim Issarigo. 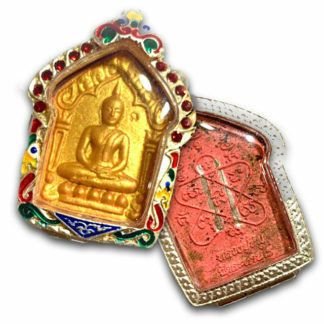 Various Pim Song models in several different kinds of sacred powders were released in this limited series edition, in both Pim Lek (small) and Pim Yai (large) size models. 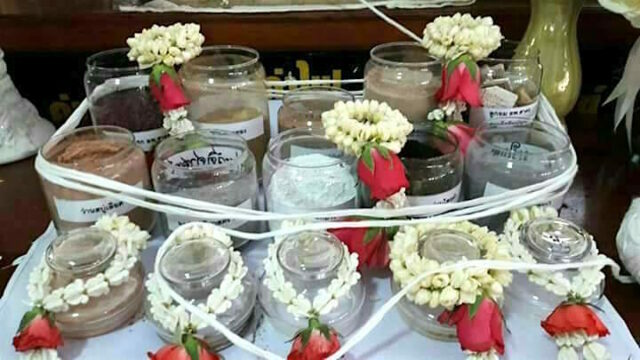 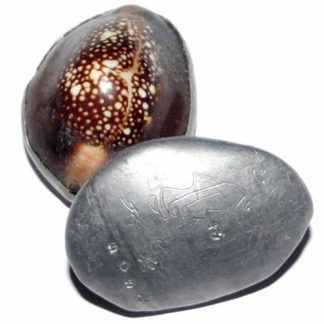 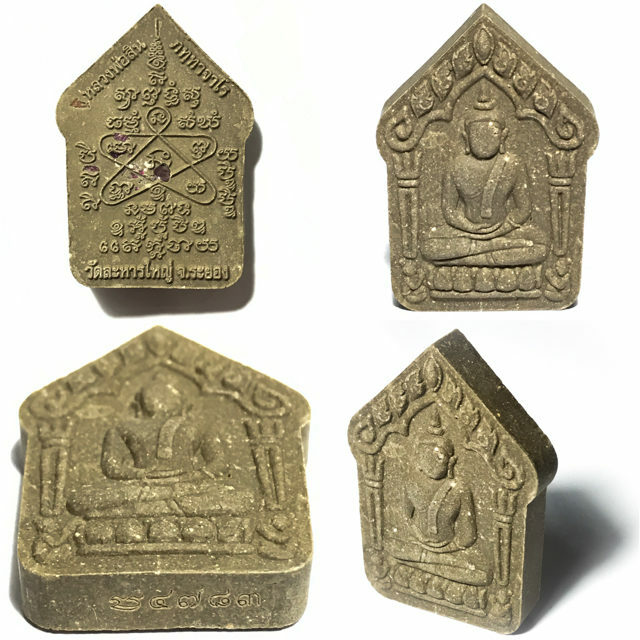 The edition starts off with the Khun Phaen Pim Tammada standard model in Nuea Wan Maha Mongkol Pasom Pong Prai Kumarn brown powders, or Nuea Khaw Pasom Pong Prai Kumarn white powders, and Ploi Sek Maha Pokasap Gemstone fragments. 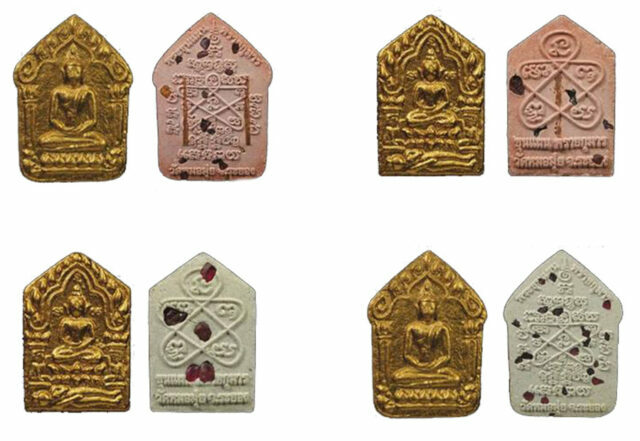 The next model up was the Ongk Kroo Pim D in Nuea Wan Sabu Luead red bloodsoap herbal powders with Pong Prai Kumarn, and Bronze Wanich Gilded surface on the front face, with 2 Takrut Tong Daeng inserted into the rear face along with some Ploi Sek Maha Pokasap gemstone Fragments. 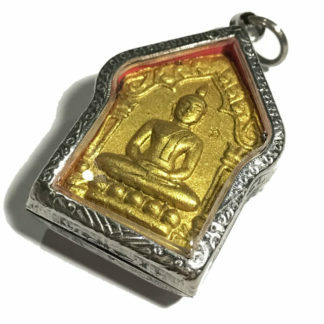 Luang Phu Sin meditated for an extended period and performed ‘Pluk sek’ empowerment over the amulets in the Uposatha Shrineroom of Wat Laharn Yai, in an intensive solitary empowerment session. 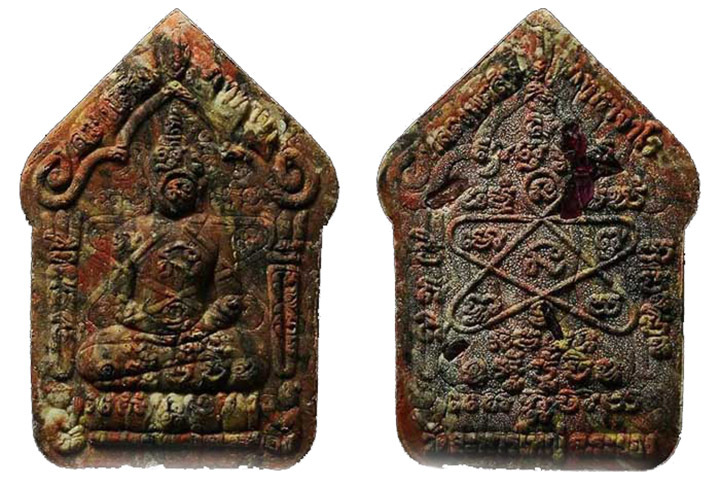 Next up in line was the Ongk Kroo Pim B in Nuea Wan Dork Mai Tong with Bronze Wanich on front face, and two Gold Takrut and Ploi Sek Maha Pokasap Gemstone Fragments in the rear face. 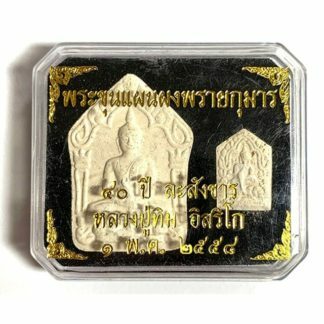 Next Up in line was the Ongk Kroo Pim A with Pure Gold Leaf pasted on front face, and Three Kings Takrut (Sam Kasat – 3 spells in bronze, silver and gold). 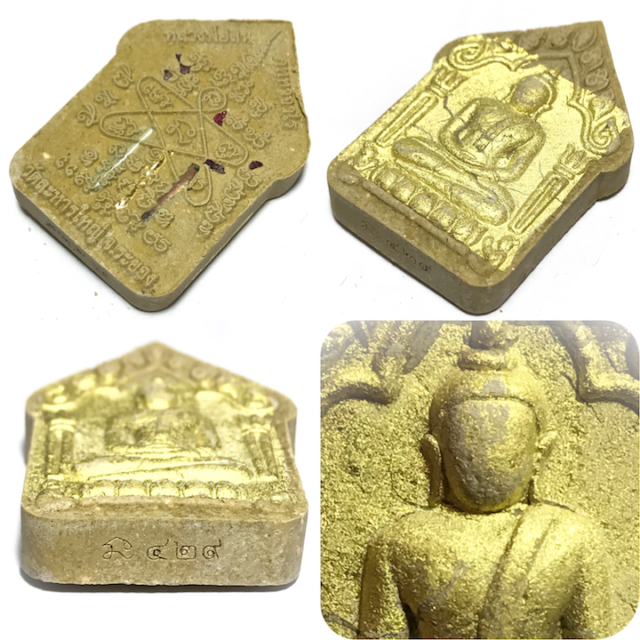 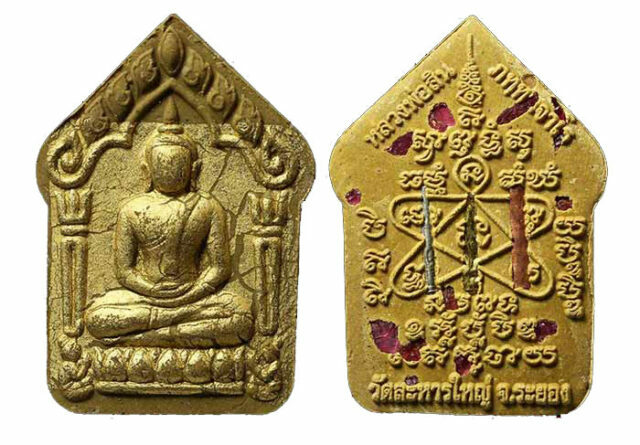 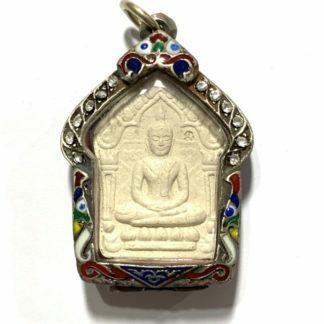 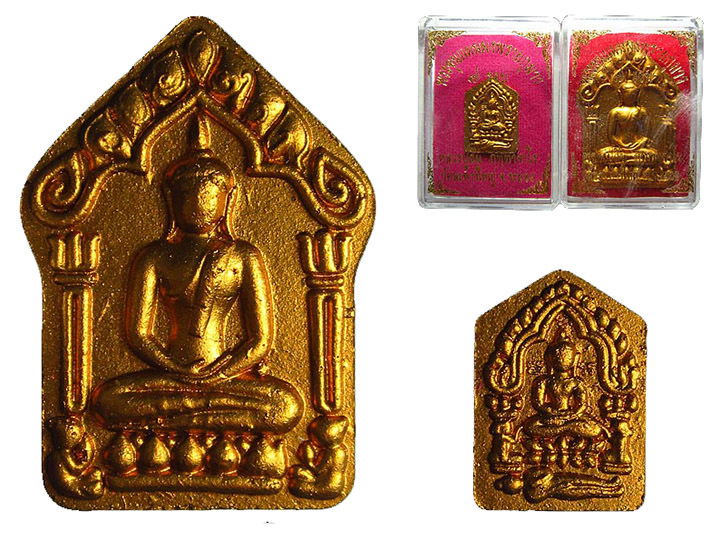 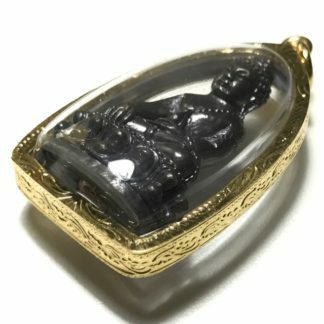 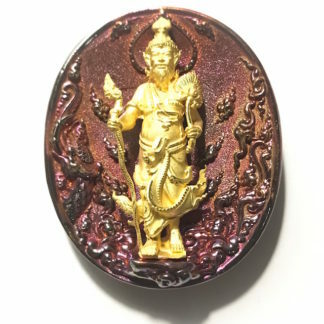 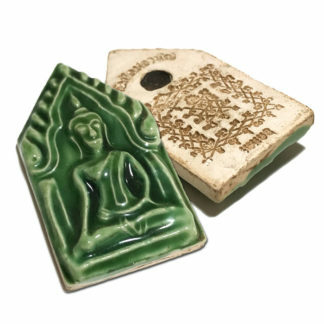 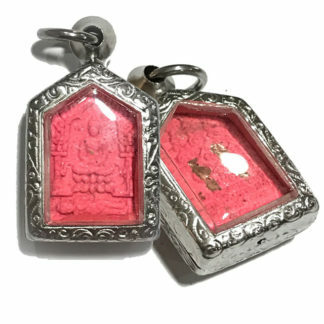 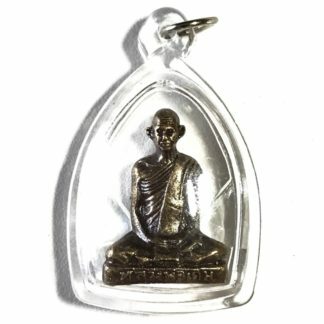 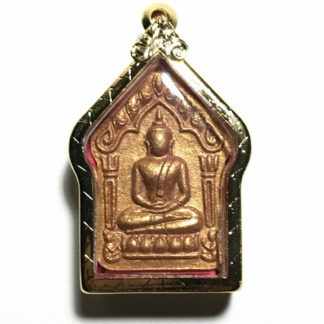 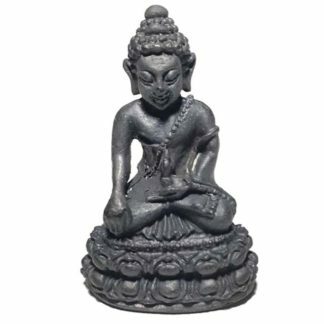 There were also some special Ongk Kroo Pised Gammagarn amulets released with special Muan Sarn and special inserts, such as the Prok Joy Bai Makham Nakprok Buddha inserted into rear face. 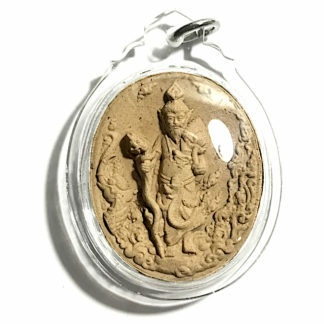 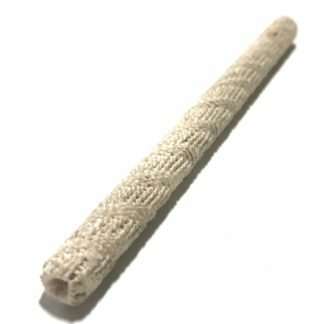 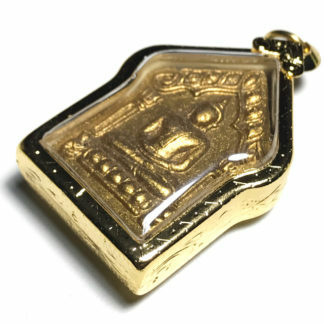 A most recommendable and high quality edition with an everlasting future trajectory, that leaves these amulets destined for immortal fame. 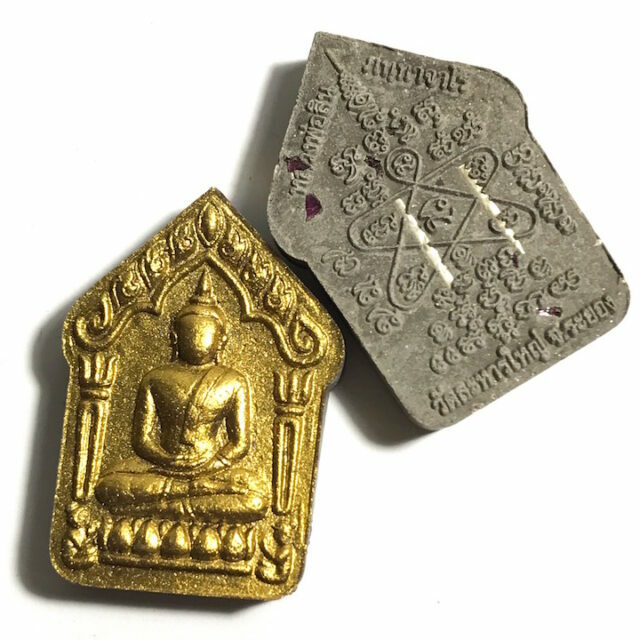 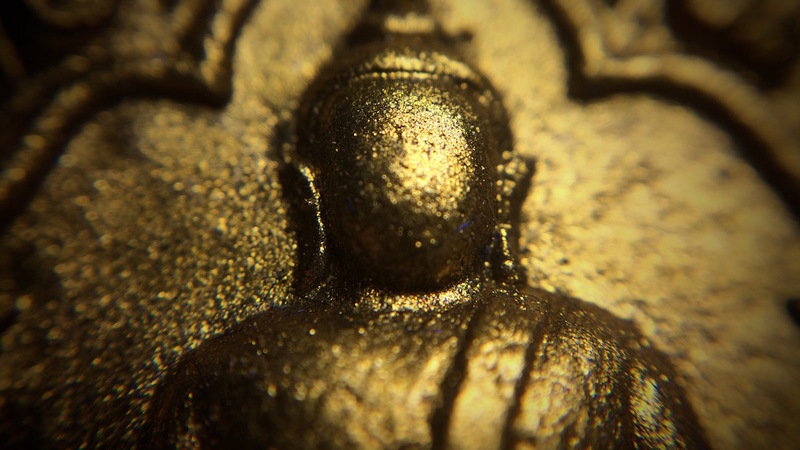 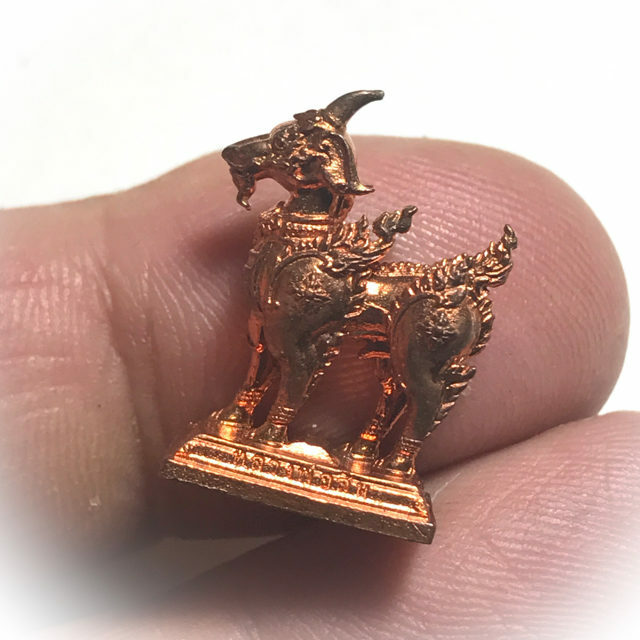 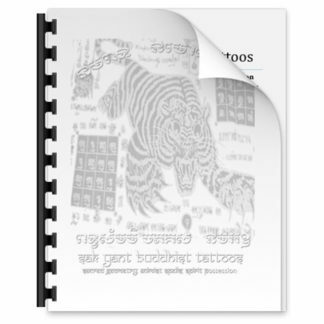 Their artistic beauty, powerful Muan Sarn powders, and intensive empowerment, and accurate recorded documentation of the edition means that we are looking at a true Pra Niyom preferred classic of the Modern Era, in the tradition of the lineage of the great Luang Phu Tim Issarigo and his lineage apprentice Luang Phu Sin.